Dory Kanter is a noted Northwest artist. A member of the Watercolor Society of Oregon since 1985, she is the recipient of numerous awards and juried honors. Dory lives with her husband in Portland; they spend part of each year at their home in Mirabel-aux-Baronnies in Provence, France. A graduate of Reed College, Dory has traveled extensively throughout the world. Since 1995 she has conducted painting tours and workshops in Mexico, Provence, Corsica, Italy, China, Greece and Turkey. 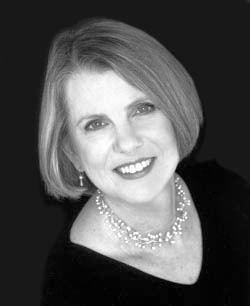 Her work is found in many private and corporate collections throughout the United States and overseas. Dory is well known throughout the Northwest for her inspiring painting and journaling workshops. In A Note from the Author, she describes her creative philosophy. Go to the Galleries for a virtual tour of her work. 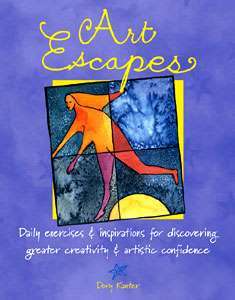 Dory's book about keeping a visual journal, Art Escapes, was published in 2003 by North Light Books. About the Book shows demonstrations and ideas for taking an "art escape" today, as well as information on how to purchase her book. Dory's other publications include the children's book, The Bear and the Blackberry, and magazine articles, as well as several CD-ROMs. Dory created an arts curriculum for the U.S. Department of Education, a continuation of her curricular work for the Portland Public Schools. She demonstrates several of the projects in online videos. Contact Dory directly by e-mail with your questions and comments. Read an interview with Dory to learn more about her book and workshops.